1080p Video Quality and 180 Degree Wide Viewing Angle. Compatible with 2.4GHz/5GHz WiFi Network. -Our new 1080p smart doorbell keeps your home protected and makes sure you never miss another visitor. -See, hear, and speak to your visitors on your smartphone, whether you're at home or on the go. Tell the delivery man to leave the package at the door, and ward off potential burglars looking for an empty home by answering your door from wherever you are. With 1080p HD video, smart motion detection, and real-time alerts, it's like you're at home, even when you're not. Greet Pro's 180° angle of view allows you to see visitors anywhere on your porch and adjust your viewing angle in the app. Greet Pro was designed with simplicity in mind. You won't need to do any complicated configuration or setup. 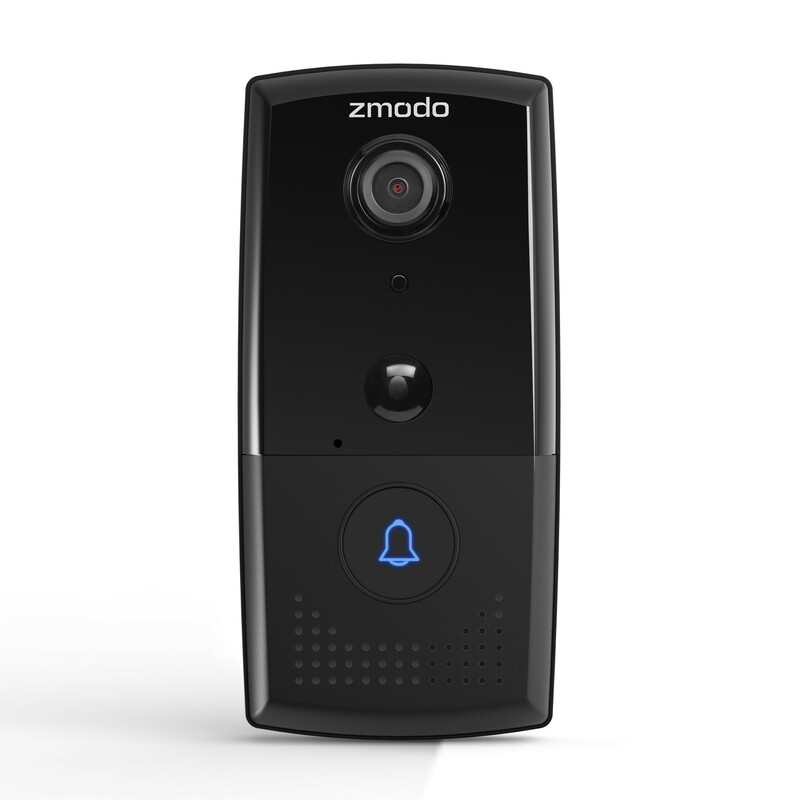 Just mount the doorbell and connect it to your home's existing wiring, download the free Zmodo app, and follow the in-app instructions to set up in minutes.